Two new local craft breweries have opened in the last month, one in Louisville, Akasha Brewing, and one in New Albany, Floyd County Brewing. Both have had a long genesis, but both are now serving their own beers and ales. Akasha had a soft opening during September’s NuLufest at their brewhouse at 909 E. Market St., behind Pyro Gallery, around the corner from Feast and across the street from Rye. The taproom has an L-shaped bar and tables, with an interior featuring reclaimed barn wood. 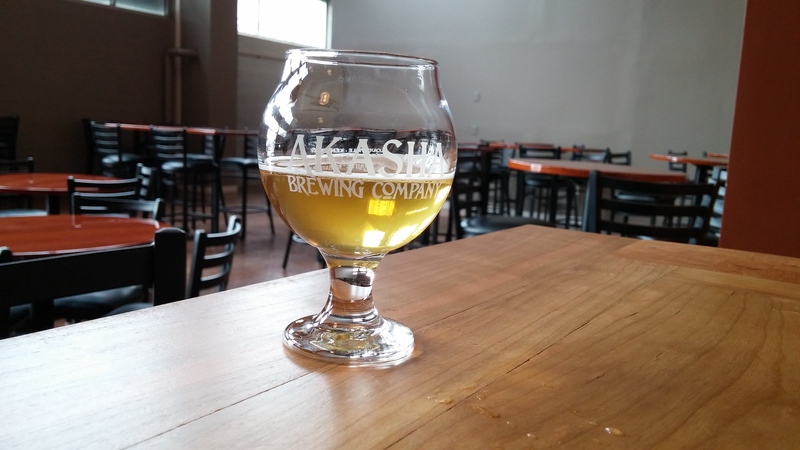 The initial Akasha brews included an American pale ale, a gose, a saison and an “American Pale on Brett,” which refers to a beer that has been brewed with brettanomyces, a form of yeast that tends to create a sour or “funky” flavor. All Akasha beers were $5. The taproom has a total of 24 taps available, with several guest brews available too. Other choices likely to appear on the menu will include a cherrywood smoked porter, a pair of dark saisons and another gose. Co-owner Rick Stidham has said he will focus on funky beer styles as a way of differentiating Akasha. On the sunny side of the river, Floyd County Brewing Co.has opened after some delays at 129 W. Main St. in New Albany. Co-owner Brian Hampton waited until they could have all six of its beers ready for customers. Their first selections include Brewess blonde ale, Hoppy Jester IPA, BarBEARian Belgian brown ale, ArrowSmith amber ale, Dungeon Deeds Irish stout and Belchin Serf saison. The ambience that Floyd County Brewing strives for is faux English medieval pub, with decor such as coats of arms on the wall, a giant battle helmet in one corner, a bow with arrows on a side wall, and arched doorways that provide a look into the brewhouse. The food menu, too, strikes a British pub note, with entrees such as bangers and mash, glazed salmon, fish and chips, served with that British pub side dish staple, mushy peas. There are also salads, tacos and burgers on the menu.